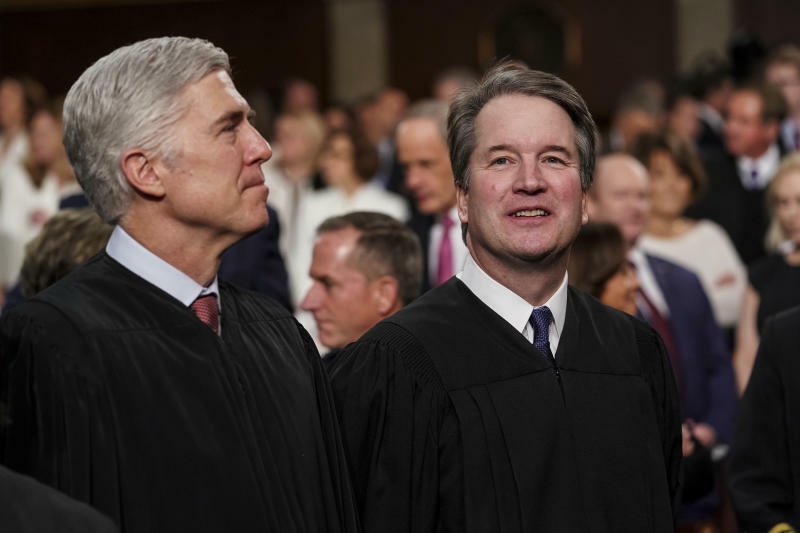 WASHINGTON (AP) — President Donald Trump's two Supreme Court appointees were on opposite sides of two of three cases that the justices decided Tuesday. 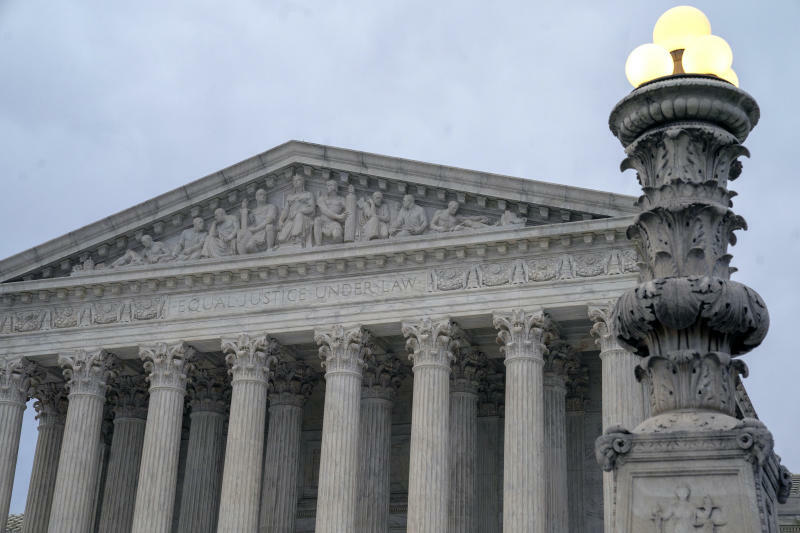 The two new justices have solidified conservative control of the Supreme Court, but they do not march in lockstep, at least in the small corners of the court's work dealing with Indian treaties and maritime law. In one case, Justice Neil Gorsuch joined the court's liberal justices in ruling that a Washington state Indian tribe doesn't have to pay a state fuel tax. Gorsuch said an 1855 treaty makes a "handful of modest promises" to the Yakama Nation, including the right to move goods to market freely. Holding the parties to the terms of the treaty that ceded 10 million acres to the United States "is the least we can do." The other case involved a lawsuit by survivors of two Navy veterans over their exposure to asbestos. Kavanaugh wrote the court's opinion that allows the suit against manufacturers of equipment used on Navy ships to continue. Kavanaugh wrote that the makers of pumps, turbines and blowers that required asbestos insulation to operate properly should have warned about the health dangers of asbestos exposure. This is so, Kavanaugh wrote, even though the companies did not manufacture or sell the asbestos to the Navy. Gorsuch dissented. The manufacturers "are at risk of being held responsible retrospectively for failing to warn about other people's products," Gorsuch wrote. The liberal justices and Chief Justice John Roberts also were in the majority. Justices Samuel Alito and Clarence Thomas joined Gorsuch's dissent. The lineup in the Indian treaty case was even more interesting. Gorsuch's opinion was joined only by Justice Ruth Bader Ginsburg, the leader of the court's liberal wing. The other three liberal justices voted for the same outcome, but with different reasoning. Trump nominated Gorsuch in 2017 to fill the seat Senate Republicans held open for more than a year following Justice Antonin Scalia's death in 2016. The Senate refused to act on President Barack Obama's nomination of Judge Merrick Garland. Tuesday's other case demonstrated the more common alliance of the conservative justices. In a case involving immigrants, Gorsuch and Kavanaugh were with the other three conservatives in ruling that the Trump administration has the authority to detain people who have finished serving criminal sentences while it decides whether to deport them.